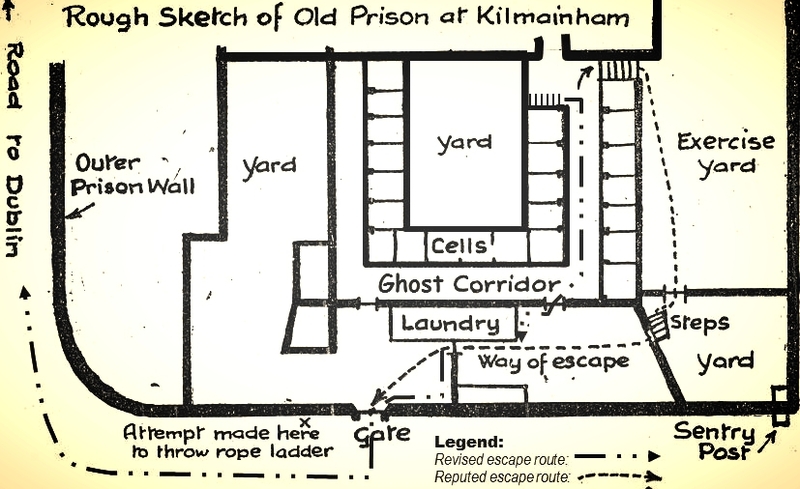 The sole objective of the escape from Kilmainham Gaol was to get Frank Teeling out, as the time set for his execution was drawing near. There had been previous attempts to get the men out before they finally succeeded on the night of St. Valentine’s Day, February 14th 1921. The plan finally decided upon was that a pair of bolt-cutters and some revolvers were to be smuggled into the Gaol. The men were to make their way out of the Gaol into a yard not overlooked by any sentry posts, make their way to a side gate, (main picture in caption, above), cut the lock on that gate and open it. Outside the gate members of the Dublin Brigade would be ready to take them to safe houses.The bolt-cutters and revolvers were smuggled into the gaol by an unnamed prison guard and were hidden in a disused cell at the corner of the corridor known today as “Murderers’ Gallery” (see picture at top of next column). On the night of February 13 Ernie O’Malley, Patrick Moran and Frank Teeling decided they would take their chance. How they got out of their cells is interesting. The padlocks on the doors had been opened by one of the friendly prison guards but left to look like they were still locked. So, by pushing their hands through the larger spy holes (originally used by the prison guards to shine a lantern through), the men could lift the bolts, slide them across and gently open their cell doors and come out into the corridor. In all the accounts of the escape, none of the men tells of the actual route by which they exited the gaol to get to the escape gate. 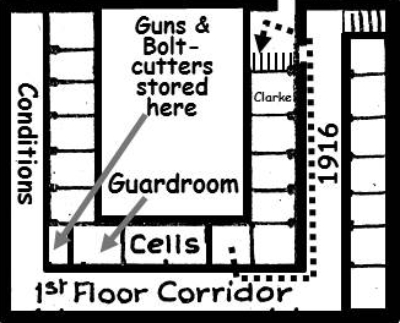 would be that they came through the 1916 corridor, possibly down the iron staircase beside Tom Clarke’s cell, through the 1798 corridor, through the door that leads into the exercise yard, through the partition wall (pictured below) and finally to the gate and the side wall. In the meantime, while approaching the laneway outside the Gaol, members of F Company, 4th Battalion came upon some British soldiers and their girlfriends. To ensure no alarm was raised these were taken to a safe location, away from the Gaol. By now the three men were at the gate trying to break the lock. As the detachable handles had been put on the bolt-cutters the wrong way, there was insufficient leverage and the bolt-cutters broke. Hastily, the men whispered what had happened to their comrades outside and a rope ladder, tied to a rope weighted with lead, was thrown over the wall. The three would-be escapees pulled on the rope, but it would not move – it was caught in a groove in the wall. Again they pulled, harder and harder, until suddenly the rope snapped. They had no option but to go back to their cells. The guard who had smuggled the bolt-cutters into the Gaol was so distraught at the failure that he went to Oscar Traynor, O.C. Dublin Brigade. To prove that he was dedicated to helping free the men, he said he would cut the lock himself. He was shown how to use the bolt-cutters and, confident that he would succeed, he smuggled them back into the Gaol on Valentine’s Day, February 14. As soon as it got dark they again tried to escape. Teeling, it seems, was the first to make his way out to the yard this time, presumably with the help of the guard, and they worked on cutting the lock. O’Malley came from his cell and called into Moran’s cell to alert him to what was happening, but Moran refused to go with them. O’Malley made his way to the “Conditions Corridor” (above) passing by the guard cell unnoticed, and told Simon Donnelly what was going on. (Donnelly knew the area well and would know the quickest route away from the gaol). Before leaving the corridor, Ernie O’Malley went to the cell of Desmond Fitzgerald, who loaned him five shillings for tram fare. O’Malley then made his way out of the building, presumably the same way as the night before. Donnelly soon followed and, while passing by Moran’s cell, he again asked him to go. Moran refused, believing he would be found innocent at his trial. He bade farewell to Donnelly and in a last attempt to ensure the men got away, Moran began to sing very loudly so as to attract the attention of the guards to him. By the time Donnelly got out to the yard and crept over to the gate, the lock had been cut. All that was left for them to do was to get the bolt across. The bolt, however, was rusted. With their guns, butter or grease that the men had saved from their meals was applied to the bolt and, after a few uneasy minutes, they were successful in sliding the bolt across. Gently they opened the gate, inch by inch and, one by one, they slipped out. According the Donnelly, the three then made their way down a back road hiding the guns in a garden on the way – where this road was is not certain. He says they passed close to Richmond Barracks, and then walked along the canal. They were nearly caught by a military patrol while trying to cross one of the canal bridges. Throwing themselves on the grass banks they waited for the patrol to pass. They then got on a tram going to the city. they went to the house of the Malones close by. The men were free, but unfortunately O’Malley’s words to Patrick Moran were to prove true. Moran was tried the very next day in City Hall for his part in the shootings in Mount Street on Bloody Sunday. Moran had seventeen people to verify his whereabouts, including a policeman. They all stated he was nowhere near the shootings. These witnesses were obviously friendly to the IRA as Moran was indeed involved in the shootings; his unit was at the Gresham Hotel. However, he was charged with the shootings in Mount Street and even though a witness for the prosecution would not admit for certain that it was Moran at the scene, he was found guilty and sentenced to death. Someone did hang for the shootings on Bloody Sunday, and on 14 March 1921, Paddy Moran together with 5 other Volunteers paid the ultimate price for their devotion to the freedom of their country when they were hanged in Mountjoy Gaol. As for O’Malley, Teeling and Donnelly - they were wanted men but continued in the movement. Finally, on 11 July 1921, hostilities between the Crown Forces and the IRA ceased with the Truce coming into effect at 12 noon. The War of Independence was over. Negotiations began between the British and Irish governments, which eventually led to the signing of the Anglo-Irish Treaty in December 1921. The Irish Volunteers’ Intelligence Organisation by Sean Kavanagh. A version of this article originally appeared in SentenceS, the unofficial in-house journal for the guides of Kilmainham Gaol. At the time of his arrest in December 1920 in Kilkenny, O’Malley was Commandant General of the I.R.A., 2nd Southern Division. He was wanted by the authorities, but lucky for him at the time of his arrest they did not recognise him and he went under a false name – ‘Bernard Stewart’. O’Malley was first brought to Dublin Castle and then to Kilmainham Gaol, where he was placed in the cell next to Patrick Moran in the corridor known today as “Murderers’ Gallery”. Patrick Moran was Captain of ‘D’ Company, 2nd Battalion, Dublin Brigade. He was arrested on November 26th 1920 for his suspected involvement in the assassinations of British Secret Service agents on Bloody Sunday and held in Kilmainham Gaol, pending his trial. His cell was next to O’Malley’s. Moran was innocent of the charge made against him and had the witnesses to prove his innocence. He was found guilty at his trial and was executed on March 14th 1921. A member of the 2nd Battalion Dublin Brigade. Teeling was the only Volunteer to be arrested for his actual involvement in the assassinations that occurred on Bloody Sunday. He was captured in the laneway behind 22 Lr. Mount St., where Lieutenants Angliss and Peel had been shot. He was wounded in the ensuing fight and taken later to Kilmainham Gaol. At the time of the escape, Teeling was awaiting execution and was held in the last cell in the corridor known as “Murderers’ Gallery”. Donnelly was Vice-Commandant of the 3rd Battalion Dublin Brigade. He was arrested in Dame Street on February 10th 1921 and was taken to Dublin Castle. 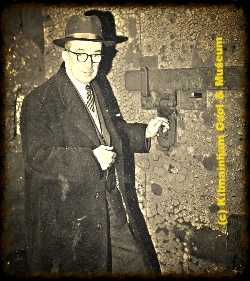 The next day he was brought to Kilmainham Gaol, where he too was placed in “Murderers’ Gallery”. Donnelly was recognised by some of the men and became involved in the plans for the escape. It was suggested at the enquiry into the escape that Donnelly was a plant, deliberately allowing himself to be arrested so he could smuggle plans into the Gaol. I have not, however, been able to find any evidence to verify this claim. After the escape he was appointed Staff Officer by G.H.Q. and was sent to the country areas to inspect Battalion and Brigade Staffs. Donnelly later became Chief of the Republican Police. On his release from Kilmainham he went to Oscar Traynor, O.C. 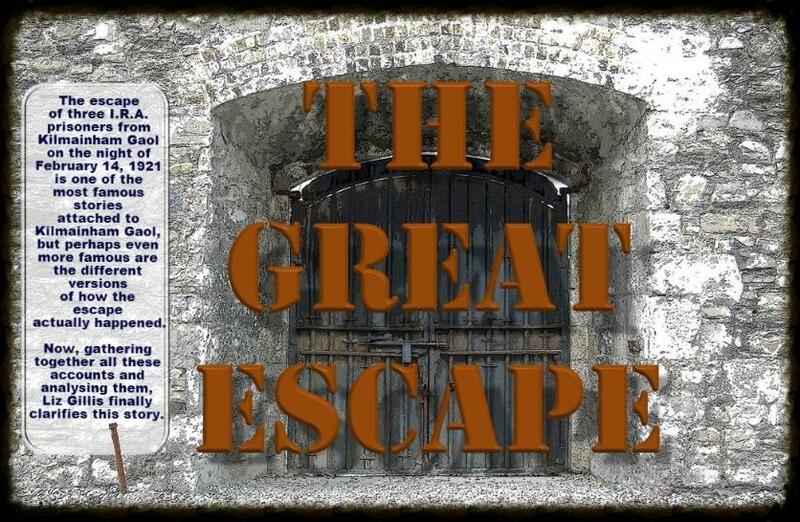 Dublin Brigade and suggested to him that, with the help of 2 prison guards, an escape from the gaol might be successful. Conroy was the contact between the I.R.A. on the outside and the prison guards and together they devised the plan to get the men out. He was a member of the 2nd Battalion Dublin Brigade. 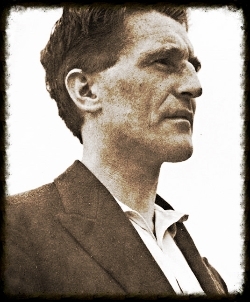 Herbert Conroy (see above) contacted Smyth about obtaining a boltcutter to help the men escape. As Smyth worked in a garage not only would he be able to get a pair of bolt-cutters, he could also make the necessary adjustments to them so that they could be smuggled into the Gaol. The boltcuttersmeasured 3 feet (c.1 metre) in length, impossible to conceal. 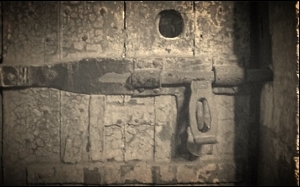 Smyth, together with an un-named accomplice, cut 2 feet off the cutters and made detachable handles 2 feet long so that, when needed, they could be attached to the cutters and there would be enough leverage to cut any lock or bolt. These two men were members of the Welsh Regiment. They are reputed to have been Irish, and from Belfast. Roper was finishing 7 years’ service. Although other guards were investigated for their involvement in the escape, the authorities were quite sure of the guilt of Roper and Holland. The two men were on duty together for at least 1 month before the escape. Following courtmartial, both were imprisoned for 8 years for their involvement in the escape. As O.C. Dublin Brigade, Traynor oversaw the plans of the escape from the outside. Members of the 4th Battalion Dublin Brigade waited outside the Gaol on the nights preceding the escape. They were there on the night of the 13th February and had to kidnap some soldiers and their girlfriends who were in the vicinity of the Gaol to ensure the escape succeeded. Located two cells down from O’Malley’s cell. 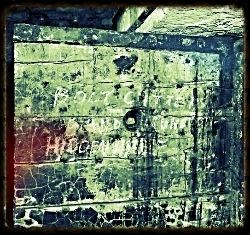 Written in chalk on the inside of the door today is the legend: "Boltcutters and hand guns hidden here". This inscription dates from the time of the Gaol's restoration. It does make sense that this room was a guardroom as it is quite large and it also has a fireplace. The location of the other guardroom is uncertain. O’Malley mentions an iron staircase twice in his account, and there are indeed the apparent remains of a staircase descending from the passageway beside Tom Clarke’s cell. This has been highlighted on the photograph below, but is much easier to see on the wall when one visits this part of the Gaol. It is likely that these stairs were removed during the restoration of the Gaol (1960-96). Unfortunately, I have not been able to definitely prove that this staircase was made of iron.